Mandla Simelane has dedicated his work to facilitating value based and authentic leadership development in various contexts. 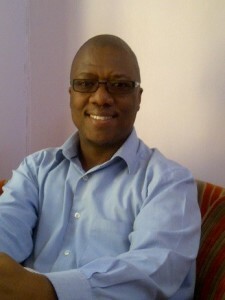 Mandla has over 15 years’ experience facilitating leadership interventions in both private and public sectors. He has worked and collaborated with higher education institutions in designing and presenting courses on various topics on leadership development, communication skills, time management, assertiveness, personal mastery and team building. Mandla is a SETA accredited assessor, moderator and skills development Facilitator (SDF); He holds an advance certificate in education, training and development, a Postgraduate Diploma in Human Resource Development, BCom Honours in Human Resource and Industrial Psychology and is currently undertaking a Master’s degree in Leadership with a focus on authentic leadership.